On March 26, 2019, the Firm filed an amicus curiae brief at the Utah Supreme Court on behalf of the Utah Minority Bar Association. The Firm accepted this pro bono assignment to argue that DACA-recipients, commonly known as Dreamers, should be eligible for admission to the Utah State Bar. 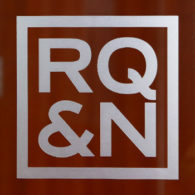 Paul C. Burke, Brit Merrill, Raj Dhaliwal, and Brett L. Tolman spearheaded RQN’s legal team on the brief. Mr. Dhaliwal is also the President-Elect of the Minority Bar Association. RQN Shareholder, James A. Sorenson, previously served as the organization’s President. In December 2018, Paul C. Burke and Brett L. Tolman published a commentary in the Salt Lake Tribune that outlined the constitutional arguments in the amicus brief. Their column can be read here. The full amicus brief can be read here.